HAMILTON, ON, June 27, 2016 – The peat bogs of the world, once waterlogged repositories of dead moss, are being converted into fuel-packed fire hazards that can burn for months and generate deadly smoke, warns a McMaster researcher who documents the threat — and a possible solution — in a paper published today in the journal Nature Scientific Reports. The world's bogs hold more carbon than the word's rainforests, and Canada is home to about 185 billion tonnes of increasingly vulnerable peat deposits, ranging from 40 cm to several metres deep. New research from McMaster's School of Geography and Earth Sciences, led by Gustaf Granath (now of Uppsala, Sweden) and James Michael Waddington (who goes by Mike) shows that peat mining for horticulture and fuel, drainage for agriculture and construction, and overall global warming have made a growing number of the world's bogs dry and vulnerable to fire that can burrow deep into the ground and burn for months, even through the winter, only to re-emerge. "People don't think about a fire going down into the soil. They think about it going across the landscape," Waddington says. "You end up with a landscape with a lot more fuel than you would have had," says Waddington. "The key is to keep peat wet and get that moss growing on the surface again," Waddington says. 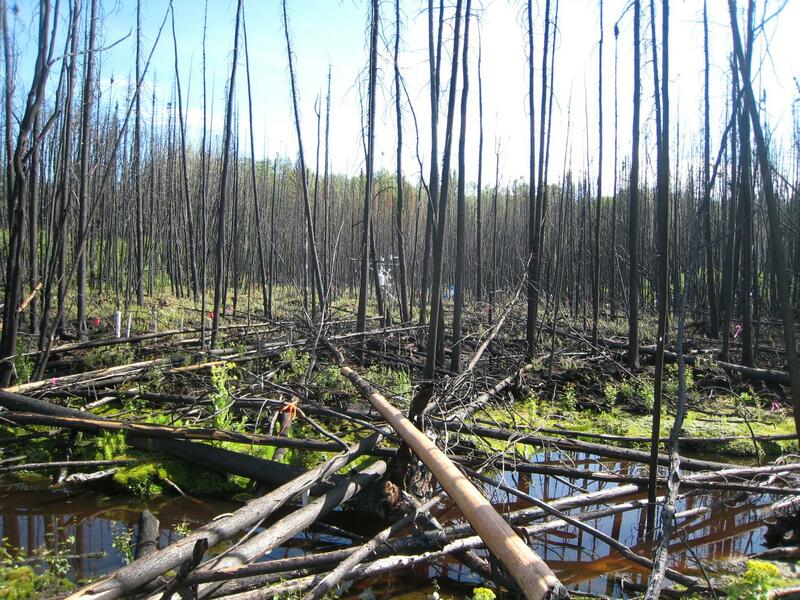 "Our research shows very conclusively that if you can re-wet the system and get the key peat mosses growing on the surface, you essentially can put a cap on the system and limit burning or resist fire completely." Mike Waddington is available at [email protected] and 905-525-9140, ext. 23217. Images of burning and burned peat bogs from the researchers' field work are available here: http://adobe.ly/28QW0gf.